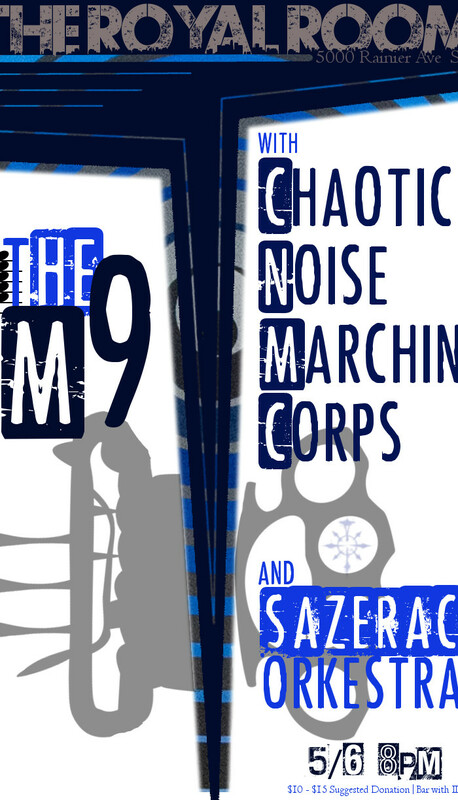 The m9 will appear this May 6 at one of our favorite venues, The Royal Room. We’re thrilled to play this space, which has hosted so many bands we love. 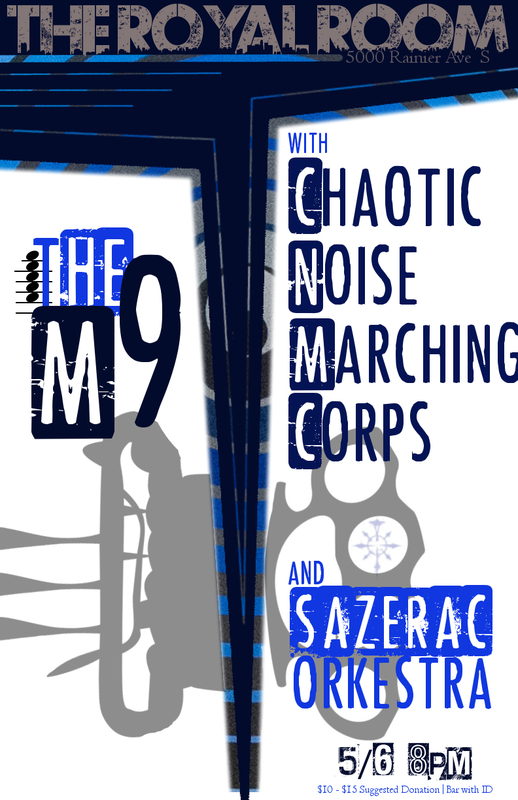 Sazerac Orkestar will start the show, followed by The m9, and Chaotic Noise Marching Corps will round out the bill with their own brand of raucous energy. Suggested donation $10-15, all ages until 10pm and bar with ID. See you there!